As an ex-police officer, I know all too well the costs of distracted driving entail. Senseless death, broken families, and victims who are physically and emotionally hurt from it. It is time to take the phone out of our hands and focus on the road. Distracted driving continues to be a growing problem for our city. The Alberta Motor Association reports that drivers who are talking on the phone are four to five times more likely to be involved in a collision; those who are texting are 23 times more likely. So today the @CalgaryPolice Service launched a social media campaign focused on creating awareness to end distracted driving. The campaign will take the form of a social ‘pledge,’ which asks users to nominate their peers to also speak up against distracted driving. I’m asking for your help to spread the message and encourage your fellow Calgarians to get involved. 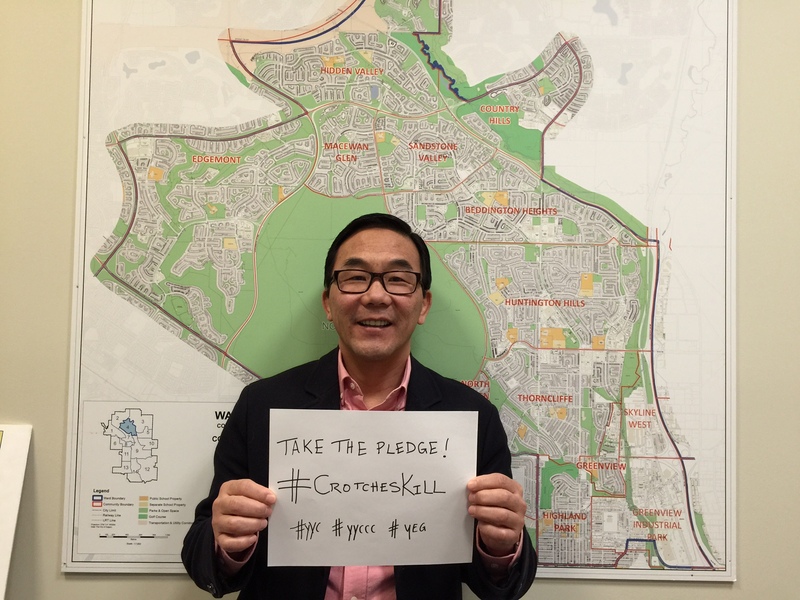 Take a selfie, and use the #CrotchesKill, and challenge your friends to show their support and spread the word that distracted driving from using a phone kills, and we can end such senseless tragedies. Post the photo on all your social media pages…spread the word!